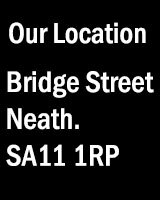 Neath Photographic Society welcomes members aged 16 and above and tries to ensure that all members and visitors are safe and protected from harm, particularly children and young persons. We also wish to protect our members and visitors from unfair allegations: the guidelines in this policy attempt to ensure that there are no doubts over obligations and standards. The welfare of the child or young person is paramount. All young persons have the right to protection from abuse. All suspicions of abuse should be properly investigated and dealt with swiftly and appropriately. All members and visitors should be clear on appropriate behaviour and responses. Failure to maintain appropriate standards may be dealt with using our disciplinary procedure. We recognise that it is not practicable, or even possible, to provide definitive instructions that would apply to all possible situations when adult members come into contact with junior members (16 and 17 year olds). However, below are some suggested standards of behaviour required of members in order to fulfil a reasonable and practicable child protection policy. All members have a responsibility to maintain appropriate standards of behaviour and to bring any lapses in these standards or suspicions of abuse to the attention of the committee. Any allegations of inappropriate behaviour should also be reported to the Chair. Discuss the matter with the Society’s Officers. Assess any information promptly and carefully. Report the matter to the parent/legal guardian and/or relevant child protection agencies and possibly to the Police. Transportation of junior members to and from club meetings will be the responsibility of the parent or legal guardian. Spend time alone with junior members. If members find themselves in this situation, then they should ensure that they may be clearly observed by others. Engage in rough, horseplay with junior members. Allow or engage in inappropriate touching of any kind. Physically restrain a junior member unless the restraint is to prevent injury to the minor or others. In all cases physical restraint must be appropriate and reasonable. Make sexually suggestive comments to or within earshot of a junior member. Take photographs of minors on club premises without the written permission of the parent or guardian. As for the display of images, the committee has the final discretion as to whether or not to accept an image into a competition, or other event where images are shown, if deemed offensive. Neath PS Committee may amend the above to take account of responses from interested parties, lessons learned in use and changes to the law.